This is my first Fall card. I had been wanting to make a fall theme card. Someone recently did something so unexpected and selfless that I needed to say 'thank-you' and at the same time, let that person know how much their kindness meant to me. I used the card feature on my Cricut together with the tree design. It wasn't difficult, just time consuming. 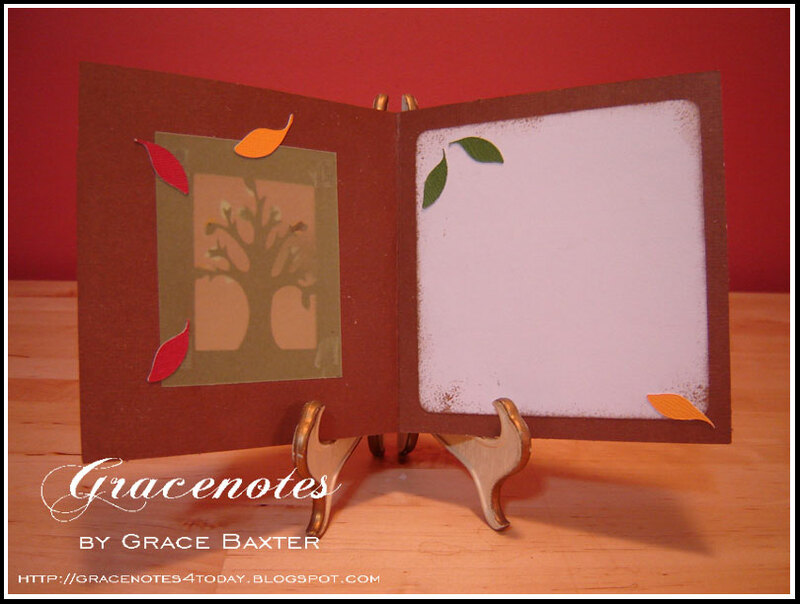 The card base is medium brown and I used a bright amber for the front frame. In order to give the fragile tree branches more stability I backed up the window with green vellum. The cartridges used for this card are Stretch Your Imagination and Alphalicious. these are gorgeous cards, what a life you must have, singing for the Lord, WOW....many blessings to you! 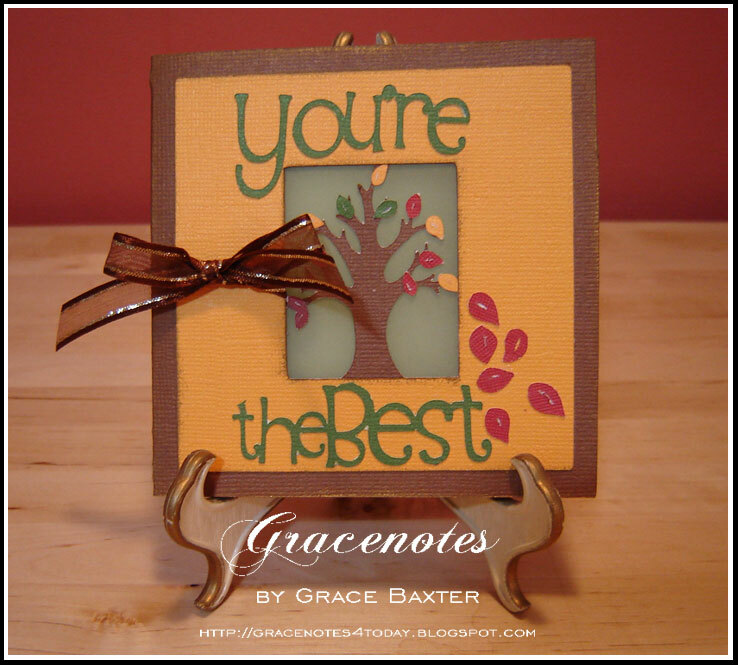 A beautiful card , Grace ! A joy to come by your blog. I'll be back to visit again . Blessings !